Harry’s, the men’s grooming brand, is making yet another leap to link its brand to men’s mental health, with a $500,000 donation and a new campaign starring veterans with PTSD. 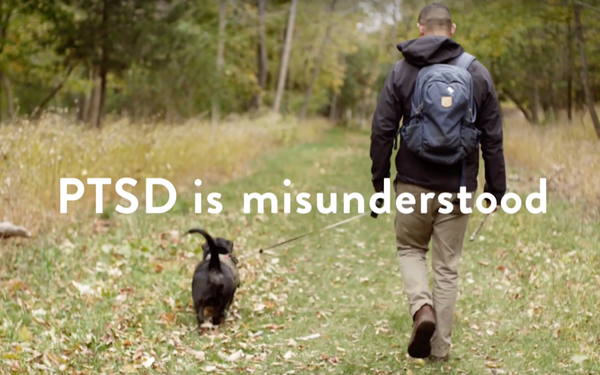 The three-minute video, starring three different vets, aims to demystify PTSD, giving viewers insight into how common, treatable and variable the condition can be. Part of the challenge is that while many brands have slapped yellow ribbons on plenty of products, marketers have very few interactions with real live vets, she tells Marketing Daily. While 77% of Americans 50 and older have an immediate family member who is a veteran or actively serving, the Pew Research Center reports that percentage plummets among younger consumers. Only 57% of those between 30 and 49 can make that claim, and among those who are between 18 and 29, it’s just one third. The video focuses on the way three vets are moving forward, despite their PTSD. We meet Chris Ellis, who has PTSD and a traumatic brain injury, playing with his daughter, service dog, horse and motorcycle; Lana Duffy, who has a Purple Heart and founded Pathfinder Labs, which gives veterans and their friends and family members a way to rate, review, and connect with local community resources; and Miguel Ocegueda, a combat medic, who now works as HEADstrong’s program director. Earlier this year, Harry’s generated plenty of buzz with an elaborate short film called “A Man Like You,” featuring a young boy giving manliness advice to an alien.